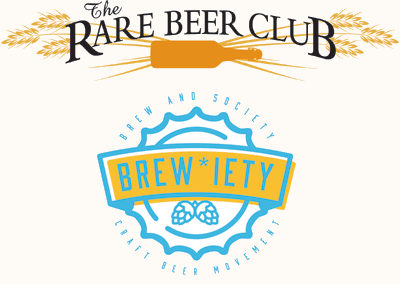 We’re really excited about The Rare Beer Club® joining forces with Brewiety and are working with Bryan to line up some pretty exciting beers this year. We’ve locked down a special offer with BrewDog, plus a Cabernet Sauvignon Barrel Aged Quad from Elevation, and are working to slot both Perennial and Stillwater this year, to name just a few. You’ll Never Get a Beer That You Don’t Want to Get! Our Personalized Shipment Program™ ensures that. Each month, you’ll get an email detailing the two upcoming beers. From there you can add more of beer, replace any beer with past selections, or skip the entire shipment altogether. Each shipment includes two limited-production beers, each from a different brewery, and our professionally written newsletter. Nearly half of our 2017 featured beers were imported or brewed exclusively for our members and not available anywhere else outside of the brewery.